Advanced protective solutions for metal components and structures subjected to industrial extreme conditions. Validated ceramic coatings provide protection and extend-life properties in industrial processes working under critical conditions (P, T above 500ºC and chemical), avoiding salt/ash/waste deposits. 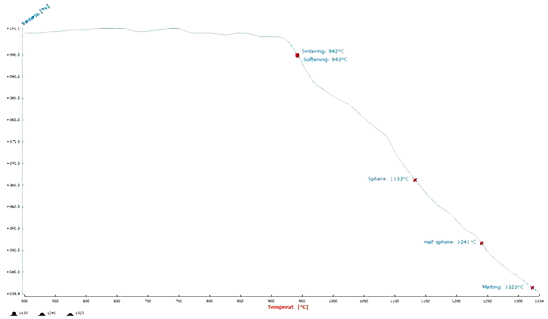 > Thermal resistance up to 800ºC in the metal substrate. > Glassy Surfaces with very low roughness = little or no adherence of fouling. > Thermochemical resistance to gases and/or salts deposits. > Erosion resistance to abrasive particles. > Specific ceramic formulations for welded areas. - Cleaning “shakes” can be reduced if not avoided. - Thermal efficiency will remain more constant as insulation will not grow. - It might become possible to move on to higher performance industrial conditions. 6 m long metallic tubes with external ceramic coating placed in a Coke calciner's Heat Recuperator with Vanadate Ashes. (a subsidiary company of the Tubacex Group). Visbreaker, Coke Unit, Coke Calciner, Heat Recovery Units, etc. 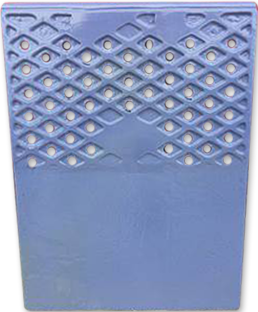 Components under erosion/corrosion/temperature conditions: Raw material cement preheater plates, Planetary clinker cooler plates, Grate clinker cooler plates, etc.